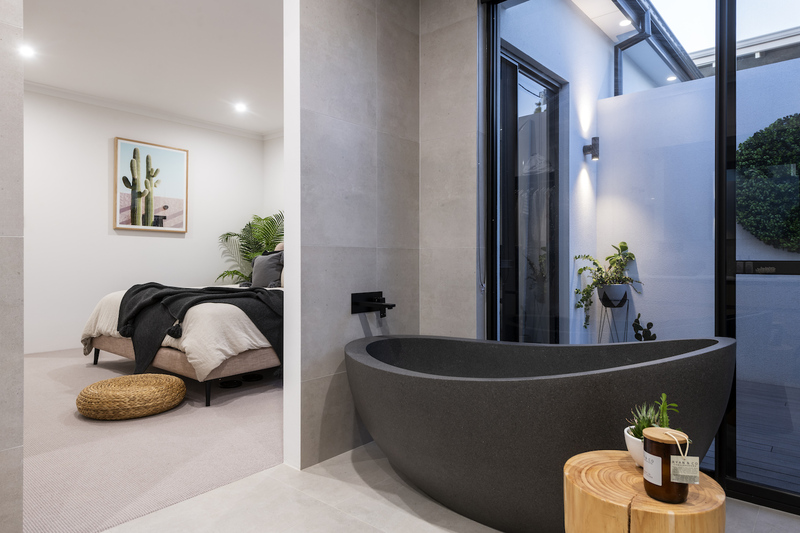 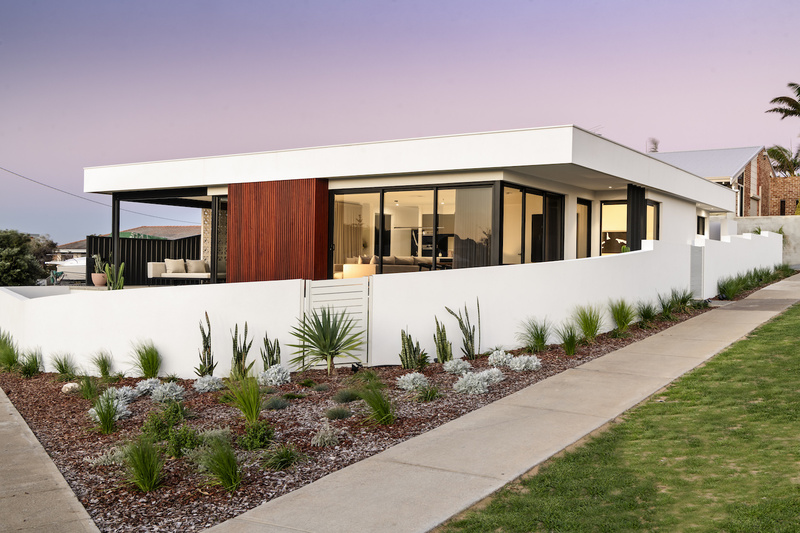 Palm-springs inspiration and a love of mid-century design were the driving forces behind this single storey home built on a corner lot in the beachside suburb of Watermans Bay. 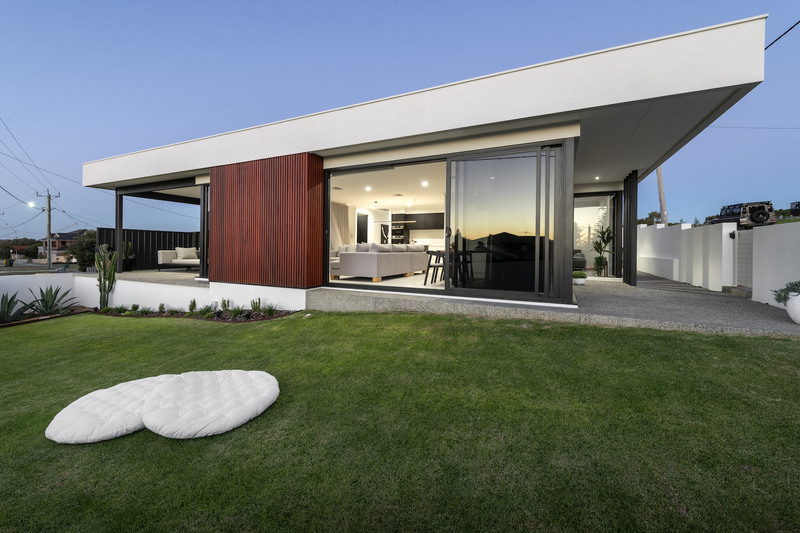 Designed for west-coast living, the home is light, bright and airy. 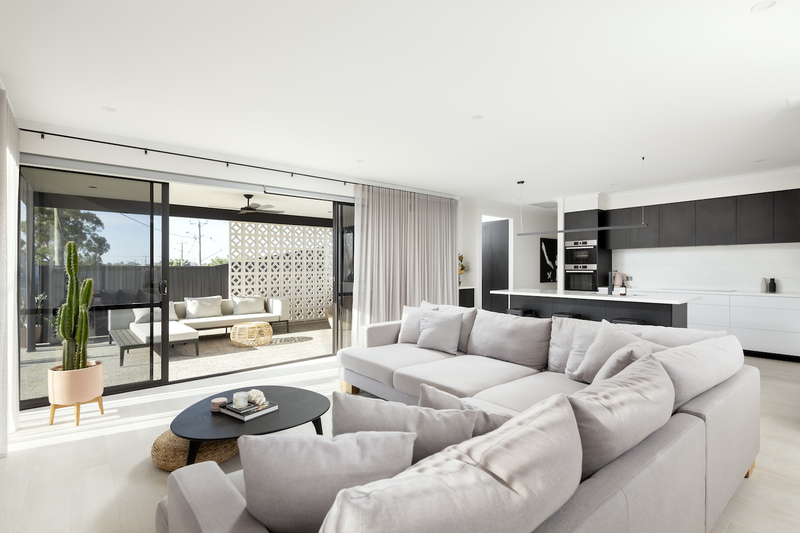 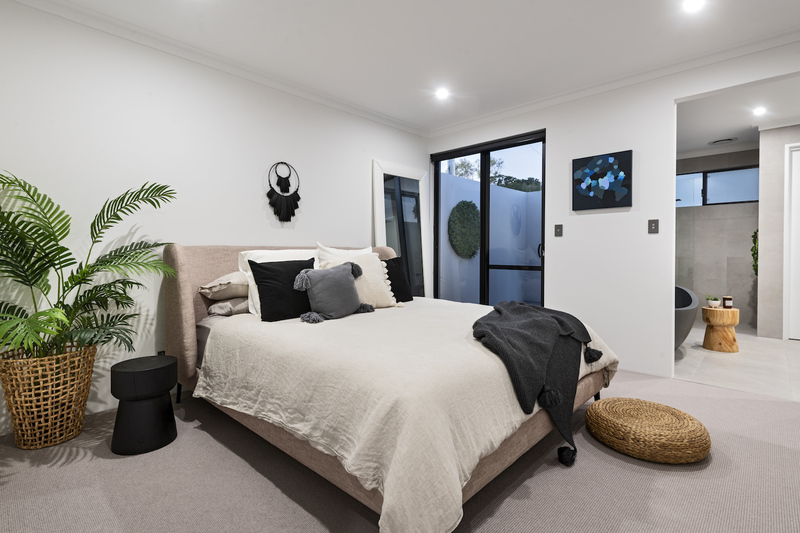 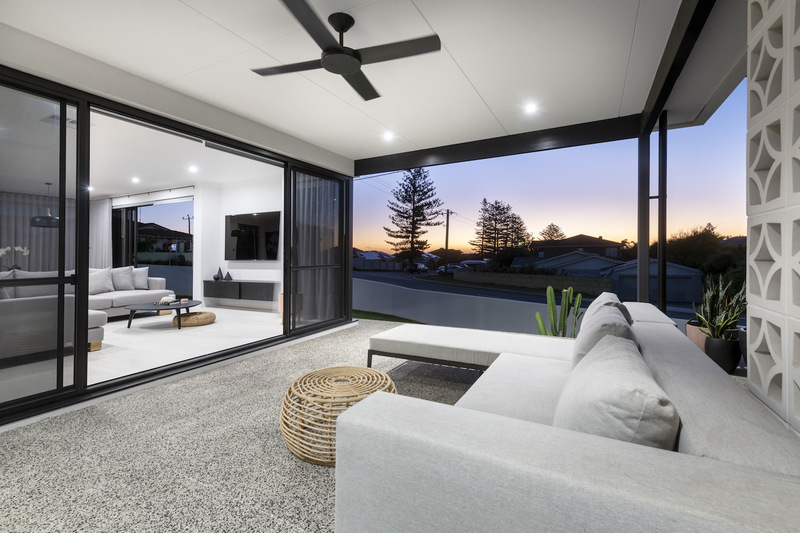 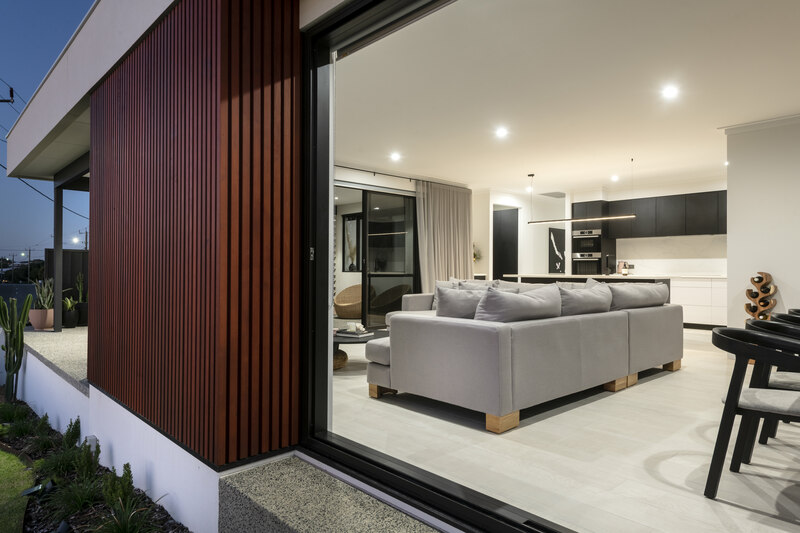 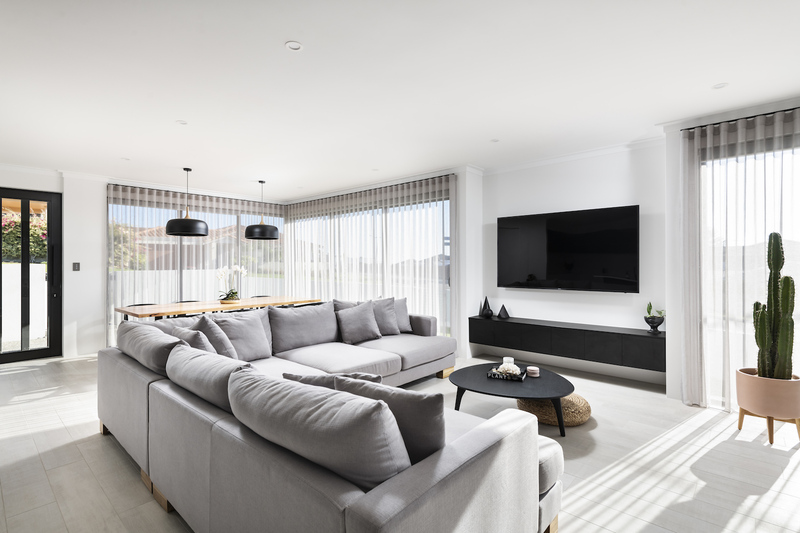 An expansive open-plan living area and spacious alfresco located to the front of the home are totally in tune with our love of entertaining and casual beach life. 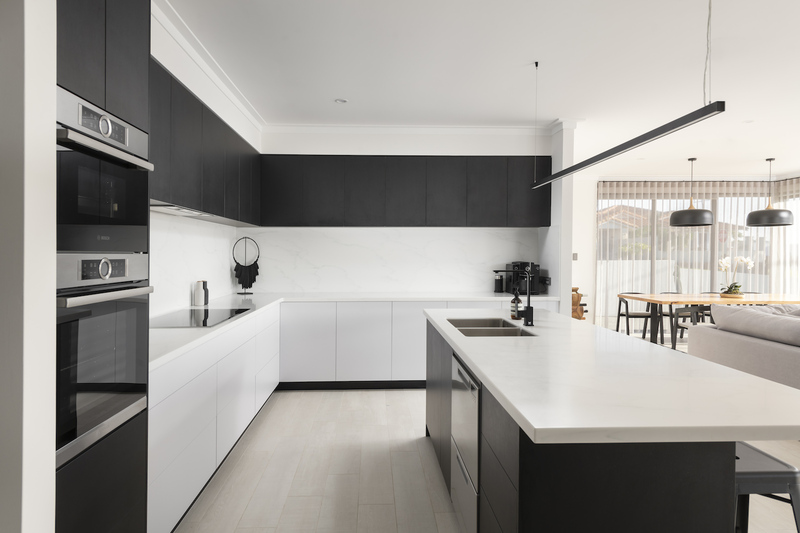 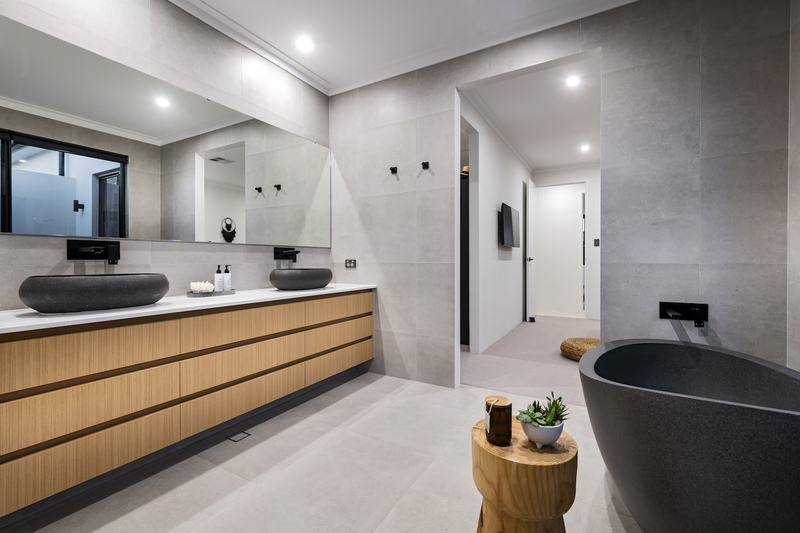 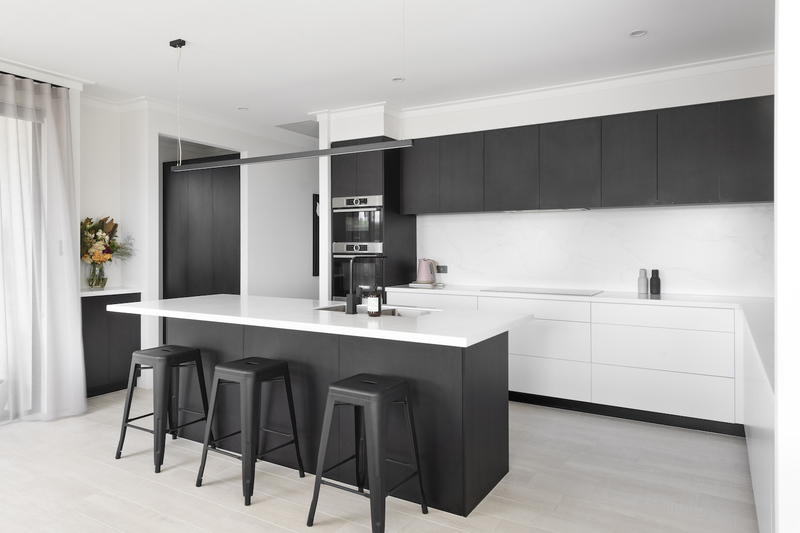 Strong horizontal lines and a timeless colour palette have created a chic, coastal cool home with a nod to mid-century modernism.